Surely you’re not content with just multi-touch and built-in accelerometers, right? Microsoft Research is expecting not, as it’s already working towards integrating force-sensing technology that will enable gestures to twist on-screen imagery without crafting UMPCs out of flexible material. Essentially, the gurus behind the idea feel that implementing said tech would “turn an otherwise passive component that just holds the device together into an active input surface.” In the future, it’s likely that auditory cues would enable users to know when they’ve applied enough pressure to cause a change, and of course, they expect it to work hand-in-hand with existing human-computer interfaces. Yeah, who needs keypads these days, anyway? Microsoft has increased storage on Windows Live Skydive to 5GB, up by a multiple of five from its previous limit of 1GB (the 1GB having doubled the original 500mb in October). It’s been rumored for a long time, but now it’s reality. Microsoft has made an unsolicited $44.6 billion bid for Yahoo. The bid, which would consist of cash and Microsoft stock, values Yahoo shares at $31 a share, a 62% premium on Thursdays closing price. I love this deal!!! – Destroying the cocky Google. Guys, just figure out what services people really like and shoot everything else! You can do it! Make it happen! What will be the new name? How will the new logo look like? Logitech the maker of keyboards, mouses, PC-cams, microphones, and all other computer peripherals is trading up on market chatter and speculation that Microsoft may want to acquire the company. 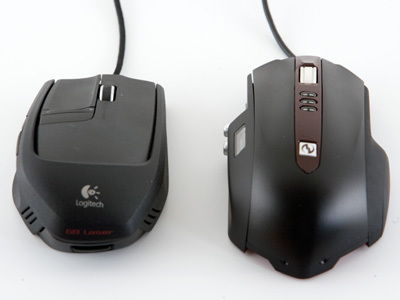 While Logitech is a mostly hardware company, this might actually be a good fit for Microsoft. Logitech also just unveiled its new line of peripherals at CES this week. Zune‘s next move takes their support of emerging artists and literally puts it on their sleeve. Zune Originals is a collection of 27 original works by 18 international artists designed to be engraved onto the back of the device. On the Zune Originals site, launching 13 November 2007, visitors will be able to customize their Zune by size, color, illustration and with up to four optional lines of text-all free of charge, at least for the time being. Halo 3, the first-person shooter developed by Bungie Studios exclusively for the Xbox 360, is my new therapy. 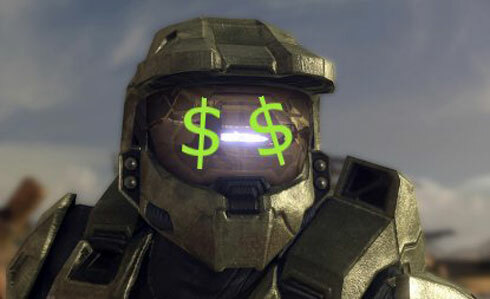 The game was realesed On September 25th and the flagship soldier Master Chief, has come back from the battlefield with $170 million dollars in the first 24 hours of Halo 3 deployment in the United States. This would mark the biggest day in US entertainment history, beating out Spider-Man 3 and all Harry Potters (of course, the price of entry for those events were a lot less, but that’s a technicality when it comes to record books). The game is the third title in the Hallo series and ends the story arc begun in Halo Combat Evolved and continued with Halo 2. Although there seem to be some compromise; resolution for performance issues, I love it!